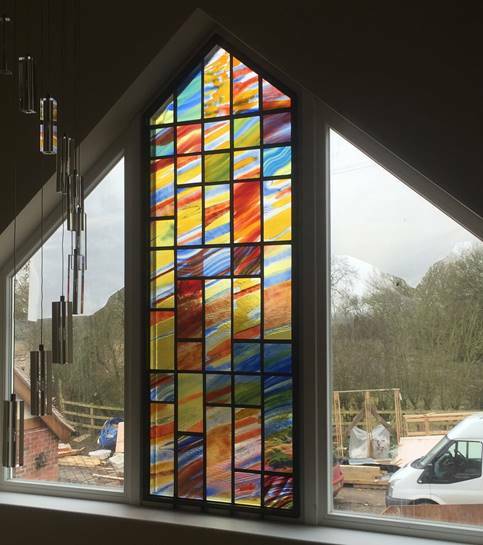 This large stained glass window was such a pleasure to make. 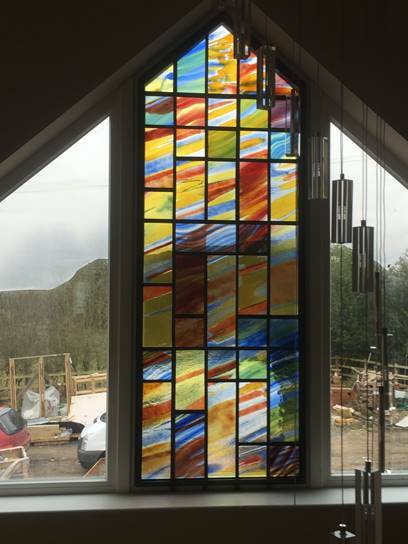 My clients have built a house to their own specification and wanted to create a very original stained glass window above the reception hall. I was sent a very abstract painting as inspiration which was quite a hard brief as I did not want to copy this. After much sketching and thinking I came up with something totally original. 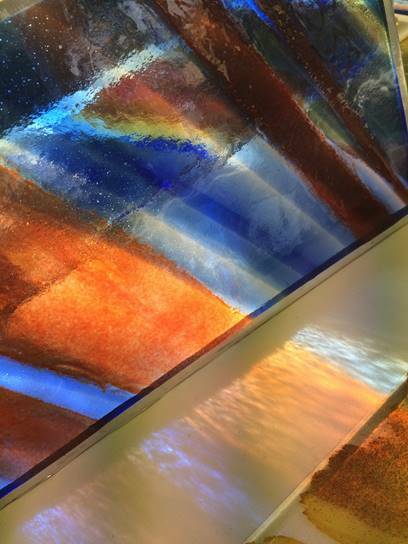 This stained glass window has a lot of fused glass pieces within the design. 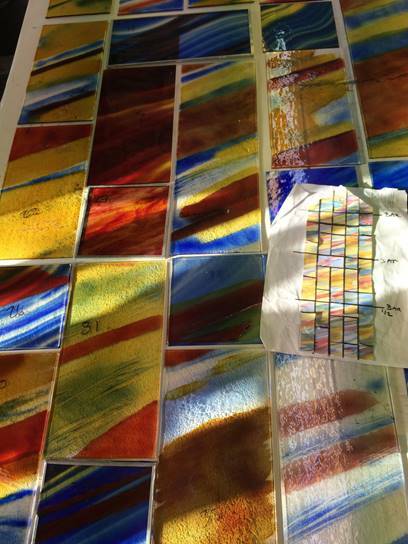 I have also used lots of beautiful mouth blown glass and silver stain which is fired into the glass. 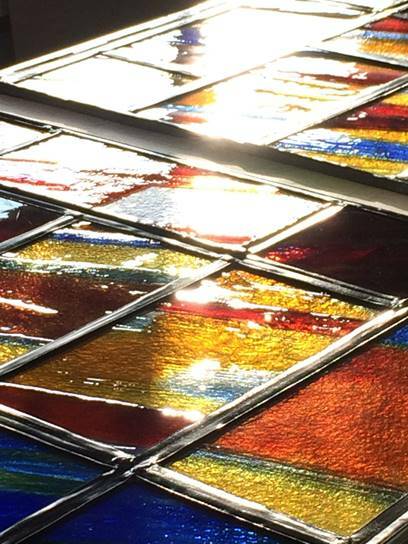 Some of the pieces have been plated, using two layers together to create the right finish.